The records are kept of the executed technical inspection and they must clearly contain the approval of each committee member that the built facility can be used, that the determined shortcomings must be eliminated, or that the use permit cannot be issued. With the technical inspection carried out, the committee creates a report in writing within 8 days on the results of the technical inspection of the constructed facility, and submits it to the responsible department. Report of technical inspection commission is integral part of a use permit. A use permit is being permanently retained by entity that has issued construction permit as well as owner of the constructed facility. Costs of technical inspection bear the investor, i.e. owner of the facility. 3. Costs of technical inspection of family housing building with business premises are 300,00 BAM. 4. Costs of technical inspection of business-housing building, industrial buildings and facilities are 850,00 BAM. 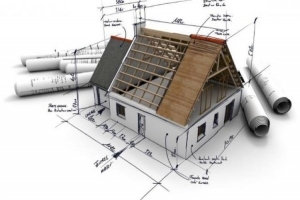 The constructed facility cannot be put in use before the competent authority issues a permit use, based on the previously performed technical inspection of the facility. Technical inspection is used to verify compliance with technical specifications and issued a construction permit, as well with other technical regulations and standards in regard to specific construction works, materials, installations, equipment, machines or facilities. The facility`s technical inspection is carried out upon the completion of the facility`s construction of the structure, i.e. the construction of all the works stipulated by the building permit. The applicant will receive the validity clause for the decision in 15 days from the date of submission of a complete application for issuance of the use permit. The use permit can be issued for the entire facility or only for its part, which represents a separate technical and a functional whole a part of the structure that presents special technical or functional entity, when it can be used for the purpose for which it was built before the end of the construction of the entire facility in case it is necessary for the purpose of continuing and finishing construction. 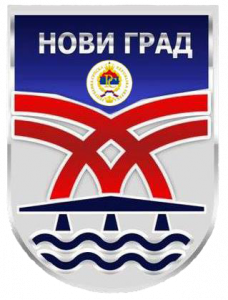 Use permits are issued by Department for urban planning, utilities and housing services of Municipal administration of Novi Grad Municipality, on which territory facility is being constructed. The application for the issuance of a use permit is submitted by the investor, i.e. the owner of the facility, or their legal successor, or the contractor, when they determine, together with the supervising body, that the facility or its part has been built in accordance with the building permit. 7. energy certificate of the building. Technical inspection is being carried out by an expert commission for technical inspection that is formed by an entity that has issued the building permit, within 3 days from complete application submission. 7. other relevant documentation defined by special regulations, based on facility type.